Plant drifts of 'Goldsturm' in every sunny spot, pots included, and then when summer is ending and colour is scarce in the garden, they will give you a sea full of golden blooms. 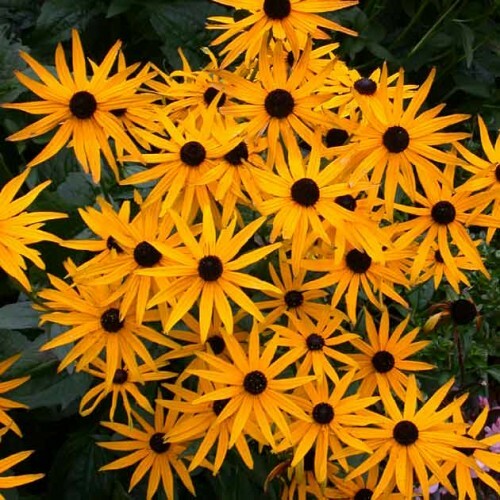 'Goldsturm' is an excellent hybrid with rich, golden yellow flowers, each with a bold black eye. Flowers appear singly on stiff, branching stems in a prolific, long-lasting, mid-summer-to-fall bloom. Rudbeckias, commonly known as Coneflowers are hardy, disease, pest and drought resistant daisy-like flowers that native to North America. Mass in bold drifts in the perennial border, cottage garden or naturalized area. Its sturdy rough-textured foliage makes a perfect backdrop for other flowering perennials. Coneflowers also make good fresh cut flowers. 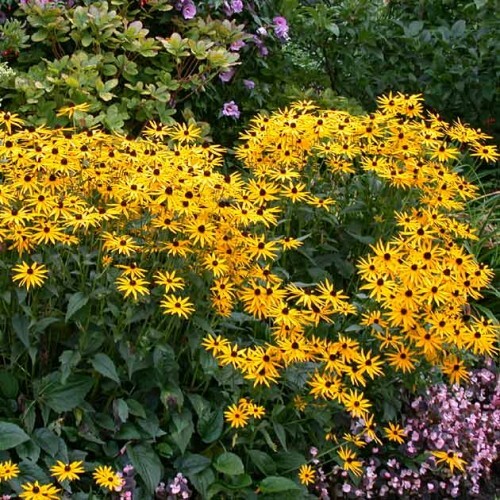 Watch the Botanus Garden Club video about Late Bloomers including Rudbeckia fulgida 'Goldsturm'!